- my opinion is to pay for your room in the first moment when you get in the hostel. Like this you can don t have some problems with some wrong mistake (from the tourist y/or receptionist - about language or the category of your room ) - still understand ¨¨single room is with 2 beds?? - if you are stay alone in one room (with 2 beds) you can t take the key of your room? 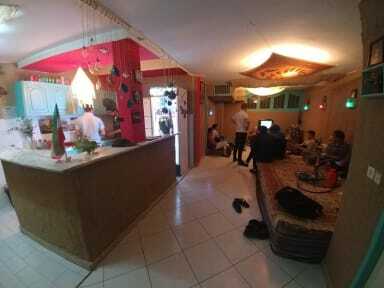 It is a very nice hostel with a truly international atmosphere. The major inconvenient I found was the dorms are extremely busy during night since many people are constantly arriving from the airport. The staff is nice and helpful, nice living room where to share with other travelers, the rooms and bed are ok, shower/wc are good but only one per floor. Breakfast could be much better, only some bread, with butter and some jam, tea included, coffee it depends, same for a boiled egg. I have to say that I was never welcome. The receptionist of the Hostel spent all the time lying down and did not bother to help or make you feel good, in fact, tried to do business all the time with tourists. Either with the airport taxi to the Hostel or for any service HE can provide. The people that were in the Hostel were great, so there was a nice atmosphere, but we were all agreed that we were not welcome and with that the receptionist of the place was a connoisseur.